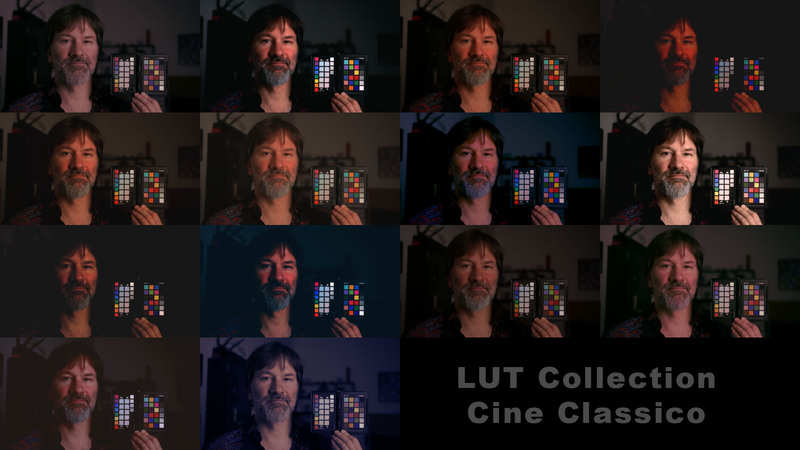 NTown Studio LUT Master Collection includes over 130 LUT files in .cube format. NTown Studio LUT Master Collection contains all NTown LUTs in one package, which are over 130 LUT files in 18 LUT groups! Styling LUTs can be used to style the look of your video while the Tech LUTs are for basic corrections and the BASE LUTs should be used when using cameras which use picture profiles with a LOG-based gamma curve for exposure (See article NTown BASE LUT Collection). Styling LUTs improoves the visual mood of your shots. Styles can come in many different ways, one fits better than an other to a given scene or shot. Often it’s more like a feeling what looks great than what it should look like in technical term. Our Styling LUTs offers many possibilities for the mood of your scenes and shots. Film Emulation LUTs are booth styling and technical LUTs. NTek-1047 helps to recreate the 70s, 80s look of analog film in terms of contrast, color matrix and even dynamic range, which was suprisingly narrow compared to nowadays digital cameras with 14 stops and more dynamic range. With the NTek-1047 LUT and propper lighting for a filmed scene helps creating this iconic look and is unique to the world of film. Another addition to the Studio Master Collection are NTown’s technical Base LUTs are made to get color and contrast back of many camera’s Log-like image gamma curves and their corresponding color gamut, while preserving all details ins highlights and shadows. Unlike REC.709 LUTs, NTown’s BASE LUT collection does not clip highlights or crushes blacks but preserves the whole dynamic range of the camera while delivering a great looking image. And the best of all, there are all FREE and also included. Also included in the Studio Master Collection is our free Bonus LUT Collection with five iconc tv looks. Styling LUTs need a pre-graded BASE-look which can be achieved with our free camera base LUTs. 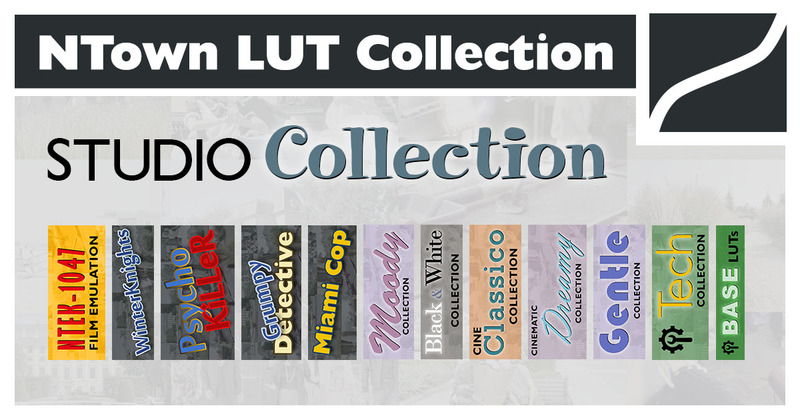 BASE LUTs are already included in the Studio Master Collection! Read the detailed description of all looks on the individual Blog-Post articles (click the links above). 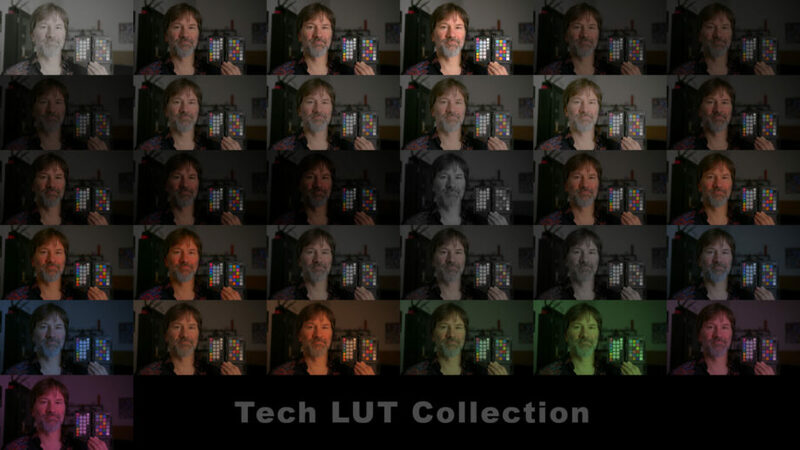 Try to find a more complete LUT collection on the web – you won’t find a better one! By the way, if you missing some LUTs, just write us some notes and we see what we can create for you.